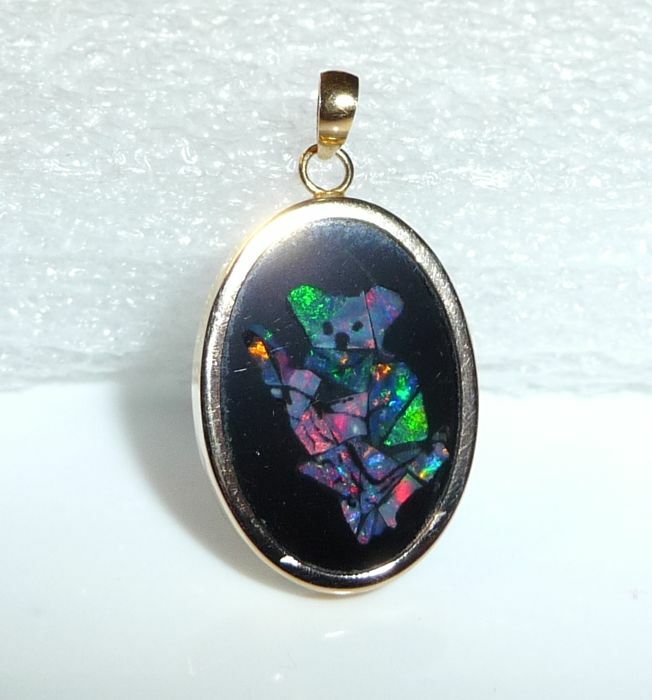 Small pendant made of 14 kt / / 585 gold. 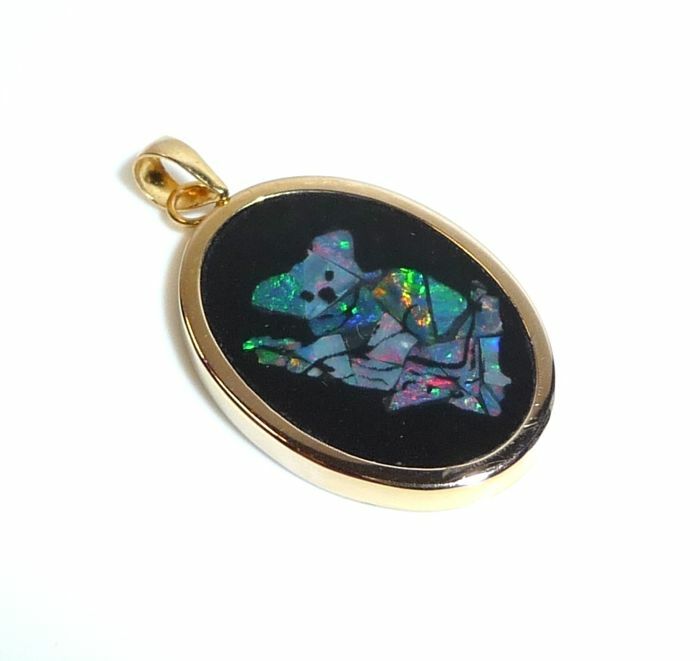 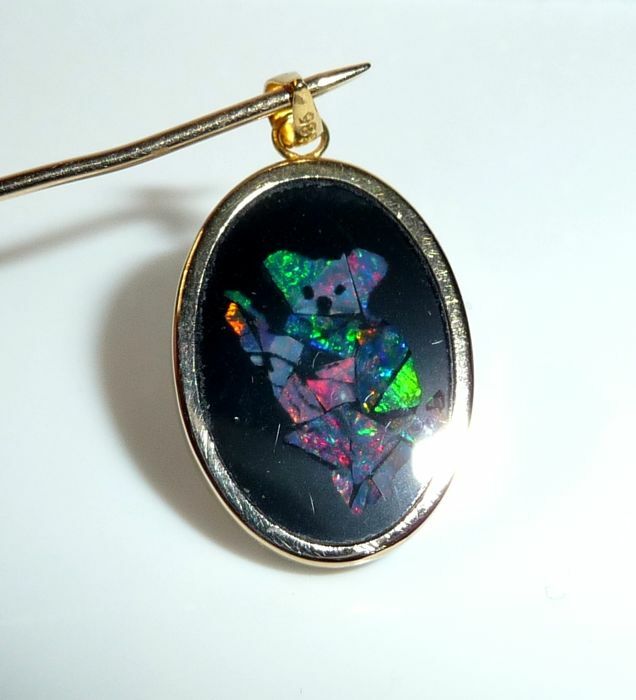 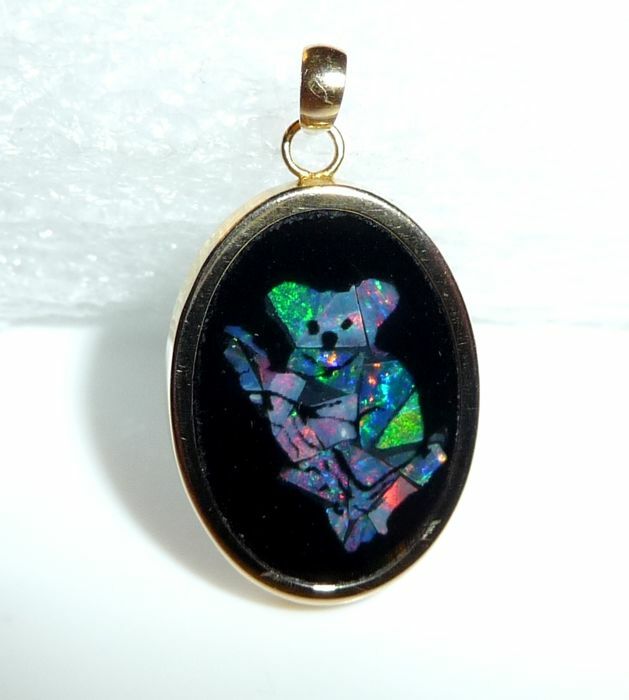 The gold frame holds a depiction made of Australian opal as a mosaic. 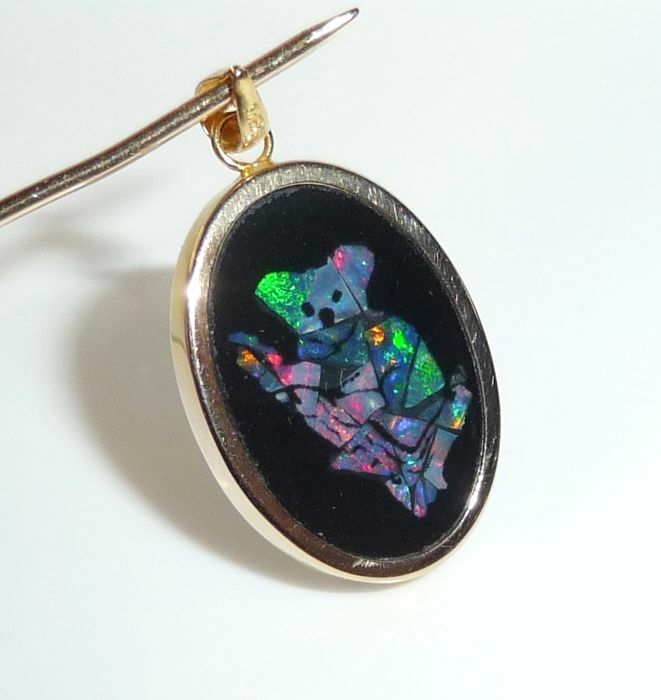 A small panda bear on a branch looks at the viewer. 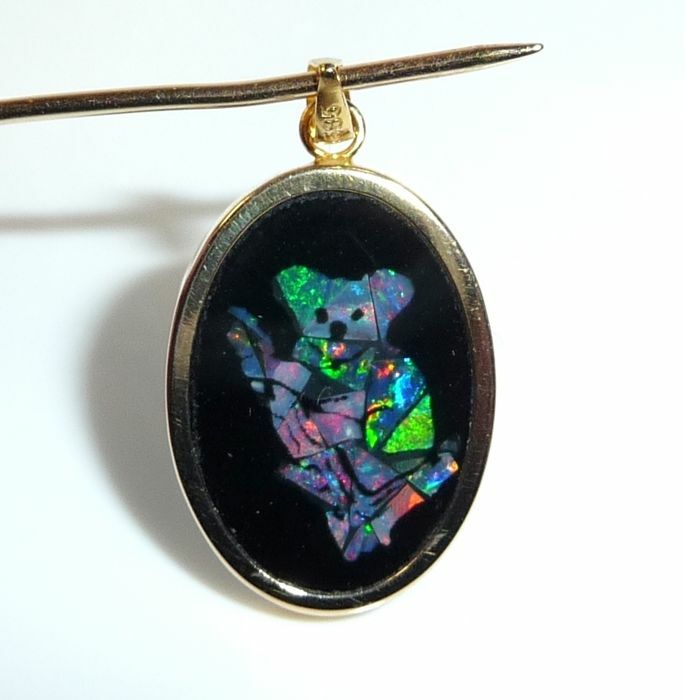 The opal-inlay is set within black onyx, allowing for excellent contrast. 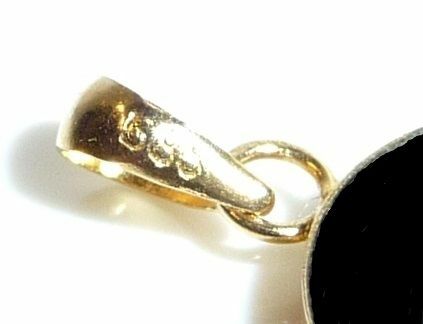 Hallmarked on the back of the eyelet with 585.